St. Patrick’s Day calls for Irish whiskey. The Kentucky Derby brings out a stampede of mint juleps and bourbons. 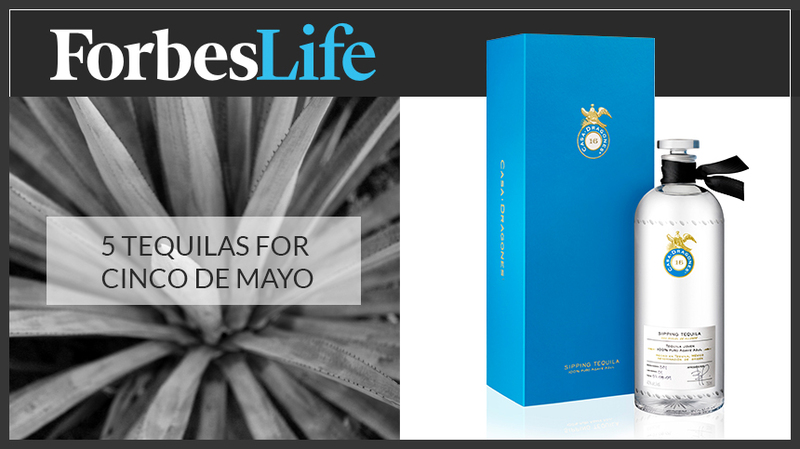 And Cinco de Mayo is the perfect occasion to indulge in excellent tequilas. But first, a quick primer: Blanco is best used in mixed drinks (like that margarita you’re thinking about right now)—not for sipping. Joven is unaged tequila that typically has a strong agave flavor. Reposado (meaning rested) is aged in oak barrels for a couple months to a year. These tequilas are mellow, complex, and will never cause you to make that “tequila face. The five tequilas below are far from the ones typically associated with a lime and salt—they’re far more sophisticated. Speaking of which, if you want to be the smartest one at your Cinco de Mayo party, remember what it’s actually about: The holiday commemorates Mexico’s victory over France in the Battle of Puebla on May 5, 1862.
seed-like notches on the crystal. And if you’re not quite ready for a sipping tequila, Casa Dragones recently released a blanco, which you can enjoy on the rocks or in cocktails. Read more here.